The PortuGOAL book section is back with an absolute gem for anybody who takes more than a passing interest in the country of Portugal. The Portuguese by Barry Hatton is a beautifully written portrait of a fascinating nation whose heroic feats and contribution to the modern history of mankind is at complete odds with its physical size and its current standing in the world. 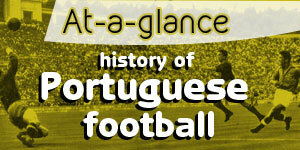 However, The Portuguese is much more than a history lesson. Living in Lisbon since 1986, Hatton goes far beyond the easy stereotypes found in travel books/magazines/blogs by elaborating a brilliant examination of the Portuguese psyche. All this shot through with humour from start to finish, it is a must-read for any Lusophile. To find out more and to give yourself a chance of winning a copy of the book, read the interview with the author and answer the competition question below. When you first came to Portugal did you expect to end up living here for decades? If not, what persuaded you to make that choice? I came in 1986 on a wing and a prayer. I had a one-way train ticket from Victoria Station to Lisbon, a tent, a sleeping bag and 200 pounds. My idea was to start a new life (at the tender age of 22), having become cheesed off professionally with London and the UK during the Thatcher years. I deliberately set off from London on April 1st, seeing as it seemed such a foolish thing to do. Weirdly enough, I ended up finding in Lisbon the career in journalism I had wanted in the UK, starting out at a now-defunct English newspaper here called The Anglo-Portuguese News. Also, as is usual in these stories about long stays abroad, a woman was involved – I met my Portuguese wife shortly after arriving here. The book is a thorough lesson on the history of Portugal as well as being wonderfully enlightening in exploring the character traits of the Portuguese people. When you began writing it, did you intend to include both aspects, or did one thing lead to another? The idea began as a portrait of Portugal and the Portuguese (that was my working title). I wanted to tell Portugal’s history, but I also wanted to tell what I had found out about the country during my long stay. Through my wife’s family and friends, and through my journalism, I had built up a wealth of knowledge and experiences - and anecdotes - which could only be laid out in a full-length book. Your family, your profession and your city of residence tell us that you are completely immersed in Portuguese society. 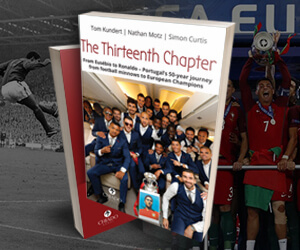 How was the book received by the Portuguese themselves? Did you have to “ouvir das boas” from some readers!? I’ve been astonished by the reaction of Portuguese readers. For a start, it sold a lot more here than it did outside Portugal. Secondly, I still - seven years after it came out - get stopped in the street by people who want to thank me for the book. I’ve been stopped in supermarkets, the Lisbon underground and in restaurants. People almost always say they loved it. They mention some caveats, where they didn’t agree with me, but they realize that my love for Portugal and the Portuguese shines through and any criticisms I make are not done in a nasty way. In terms of very recent history (last 50 years), would you agree that Portugal has undergone probably the biggest transformation of any Western European country? From personal experience, is it a very different country from what you encountered when you arrived over 30 years ago? Portugal has certainly made a massive, transformative leap in some aspects. In other aspects, the Portuguese are just the same as they always were. I recall when the EU (EEC at the time) was expanding and there was a lot of concern that we might all just become one great, soggy, indistinguishable Euro-mush. But in fact, you could argue that the opposite has happened - the Portuguese still possess their inimitable historical traits, just as the Spanish, British or anyone else in the EU does. Physically, the country is very different from 1986, of course. Although you end the book on an optimistic note, you had little choice but to chronicle the economic hardships given that the original release of the book coincided with possibly the lowest ebb of the recent recessions. 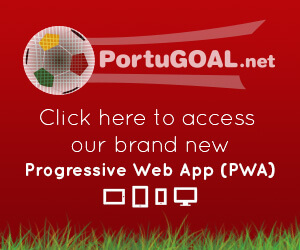 It seems Portugal has turned itself around since then and there is a feel-good atmosphere sweeping through the country. Do you agree? I think the post-recession improvements are pretty skin-deep, to tell the truth. The old “structural” problems are still there, albeit partially hidden: scandalously low wages, low levels of education, a weak legal system, corruption, etc..
Portugal, as a small, open economy, will always be blown in different directions by international fortunes. At the moment, the wind is fair, but that won't last forever. And as they say, you mend your roof in good weather, not in the rain. As I said above, we all end up being true to ourselves and we all have our strong points and our weak points. Probably the Alentejo, but Lisbon and the Douro are very close behind. You mean some are easy to pronounce? You have just released a new book called “Queen of the Sea – the history of Lisbon”. Tell us about it. Well, once you’ve got the writing bug it’s hard to stop. Lisbon was another subject I had a large store of knowledge about. It was fun going out and (re)visiting some places in the city, too. This book has caught a lot more attention in the UK, with reviews in the FT, Spectator, Sunday Times, etc.. My publisher has also submitted it for the Royal Society of Literature’s Ondaatje Prize. Can you recommend any other English-language books for people interested in getting to know Portugal better? You could do worse than starting with some translated novelists - Saramago, Lobo Antunes, Eça de Queirós - and the poetry of Fernando Pessoa, of course. There is also Richard Zimler’s “The Last Kabbalist of Lisbon” and Antonio Tabucchi’s “Pereira Maintains”. What are these three Fs? Article update: Congratulations to David Pereira from New York State, USA, whose name was drawn out from the dozens of correct answers received. A copy of the book is on its way to him. The answer to the question is: Football, Fátima and Fado.